A proper pancake 35 or 40/2.8, similar to the current (EF) 40/2.8 - which also looks huge on the RP! Of course they might make it just a little bit smaller, but it might cost 2-3 times the price and without a control ring. I'm not too worried about CA given how easiiy it's fixed automatically in post-processing. In fact I've thought for 20 years they should make lenses with CA and distortion from hell, and just optimize everything else, on the grounds these two flaws are trivial to address. I believe that is what they do with the better compact cameras, the S and G series. Rather than adding a lot of optical correction, the internal software corrects the aberrations and distortions in the JPEGs and probably does some preprocessing for the RAW files, judging from how decent shots can look even before applying the profiles on the computer. The G7X II has a f/1.8-2.8 zoom lens. The pictures can turn out remarkably well. I have 13” x 19” prints hanging on my walls that show how well. When I got my first Rebel, I got with it a 75-300 mm Canon lens for $100. Maybe it was worth that. (Or maybe its long-term value was to let me know that I really did want to spend the money on the 100-400mm II.) It has terrible CA and generally, I’ve not been that happy with shots I have made with it, even after applying Photoshop corrections. The exception has been the pictures I made of the solar eclipse with my T3i. After CA correction they look about as good as anybody else’s shots I have seen. So maybe the lesson is that to follow your lens philosophy, they should correct everything optically that cannot be fixed well in software and not sweat what can be. I guess it all depends on whether you are more concerned with taking great images of a three dimensional world, or with taking absolutely perfect images of two-dimensional flat test charts from close distance. I have yet to see a lens with edge to edge sharpness, which requires a lot of correction for field curvature, that still renders smooth, pleasing bokeh the way lenses that leave more than a bit of field curvature uncorrected, such as the Canon EF 50mm f/1.2 L, EF 85mm f/1.2 L, and EF 135mm f/2 L, do. So what if it's not the best for shooting flat test charts and doing document reproduction work? That's not what I'm going to use it to do. As for the supposed CA of the 135/2 (which has never affected the kinds of images I've shot with my 135/2): For the most part, if you control the light properly instead of expecting your camera, your lens, and Photoshop to make up for your lack of ability to see and control light, CA becomes a non-issue the vast majority of the time. The 28-300mm is >200mm on the long end. But the 70-200 L models aren't. I agree! It’s not that I don’t appreciate sharp lenses, but I have a hard time understanding those who crave so much for more sharpness than you can have with the EF 135L, also at f2. When you reach a certain level of sharpness, “sharp enough“ (which the 135L is) getting sharper becomes meaningless, or at least a low priority, in my opinion. I’d rather have a smaller and lighter lens, rather than a sharper one than the 135L. The development of new lenses is being driven by those who bow to the gods of the flat test chart - even though they have no intention of shooting flat test charts with the lenses they select based on how well they perform shooting flat test charts. Who cares if all of that flat field correction makes the bokeh look like $#!+? I don't think that's possible with a Z flange at 16mm and an RF flange at 20mm. At least not without adding glass. It's a LOT more possible than adapting a lens with a 16mm registration distance to a camera with a 20mm flange! I'll believe it when I see it. If "sharp" means enough flat field correction to stay sharp all the way to the edge of the frame when shooting a flat test chart at relatively close distances, current lens design methods mean that the bokeh will be harsh and busy as a consequence. But who cares what photos of a three dimensional world using it look like, as long as it scores higher when pointed at a relatively close flat test chart, right? 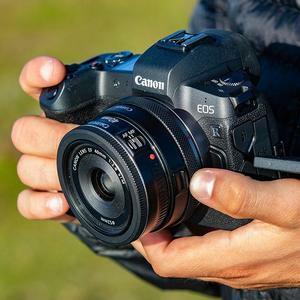 So Canon has decided it's great to have a smaller mirrorless camera and then just release insanely expensive and massive lenses. Yeah megabuck primes will have sales skyrocketing. Hey it works for Sigma. How many mayonnaise jars have they sold to be hung on those cute little mirrorless cameras that are so superior to DSLRs because they are much smaller and lighter? In order cover a sensor 24mm high, and reflect the light straight up, the mirror would need to sit at a 45° angle and be 34mm tall. That puts the bottom edge 24mm in front of the bottom of the sensor. That's 4mm further from the sensor than the flange is in the R mount. You need to go back and try that again. I own and shoot regularly with both the EF 70-200mm f/2.8 L IS II and the EF 135mm f/2. There's no comparison between the 135/2's creamy smooth bokeh and the 70-200/2.8's "busy" bokeh. The 70-200 is a great zoom lens and is certainly much more flexible in terms of focal length, but it is not a better lens at 135mm. If I know 135mm is the only focal length I need, I'm reaching for the "dinosaur" every single time. Whilst I'm not taking anything away from Elena's images, which I have linked to before and think are beautiful, we have to acknowledge the fact that they are so heavily post processed that almost all the lens characteristics are buried. Yes. Some of her images have two or more distances that are both in "sharpest" focus with intermediate distances in between much softer. You're like a bull terrier, you just won't let this go. Tell you what...why don 't you go design and manufacture a 400mm f/2.0 pancake lens. We'd all love that! Physics be damned! Heck, I'd even settle for you finding one legitimate source that suggests supertelephoto lenses will be smaller because of the RF mount. Good luck. While you're frantically googling, try comparing Canon's patents for two 100-400mm zoom lenses that are both f/5.6 at the long end. The scaling of the EF lens to RF mount saved a massively impressive 9.5mm, a huge, whopping 3% of the length of the lens. But hey, you go right on believing that RF mount + 400mm lens = magic. I thought you're trying to educate me, so I asked ... geez. Was there something inappropriate of my questions? 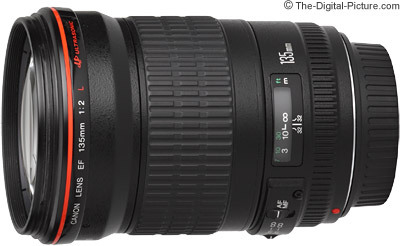 Also, I mentioned about the 400mm f/2.8 and a possibility of 400mm f/2.0, not a zoom. They're >=200mm on the long end. I think you'll find that Canon paint their lenses white over a certain size / mass. It's not a specific focal length that dictates a white or black lens. The black lens above is ~300 g heavier than the white one. There used to be. Originally, white paint went on lenses with fluorite elements in them, ostensibly because fluorite is more temperature sensitive than traditional glass and the white paint keeps the lens cooler ( I say ostensibly because Nikon evidently has no trouble painting lenses with fluorite elements black, but then Nikon are also the ones who previously claimed fluorite elements were bad because they were prone to cracking). However, certain more recent lenses without fluorite elements have been painted white, for example the 70-300L. That suggests the current rationale is based on marketing rather than technical factors. Most of the larger non-white Canon telephotos, such as the 180mm macro, are older designs without fluorite elements that have not been updated for over 20 years. In the case of the EF 180mm f/3.5 L Macro, it's been unchanged since 1996. The EF 200mm f/2.8 L II has also been the same since 1996. The EF 200mm f/1.8 L (1988) and EF 200mm f/2 L IS (2008) both have fluorite elements and are both white. The EF 400mm f/5.6 L (1993) and EF 300mm f/4 L (1991) are both white and have "... one Super UD (Ultra-low Dispersion) glass lens element (2nd) with an optical effect similar to fluorite." 400/2.0 lens would be a huge one. 200mm front element is a massive chunk of glass. I would imagine the weight of such a lens would be over 10kg. Honestly I think they'd be better off following Nikon releasing a lens like this on EF mount. Its already quite a large specialist lens so I don't think using an adapter is really that big of an issue for RF users compared to wide/normal primes. What would happen to a flourite element if it overheated. Does it crack or distort or cloud over? I'd agree I think its been a great marketing tool in a world of black lens. I recall my July trip to Death Valley, several years ago. My cameras were black Leica R models, with an Apo Telyt 180mm lens, originally developed for the US Navy. After a few hundred yards, I could no longer touch the cameras, and the 180mm tele had a cracked front lens (special ED glass, not fluorite). Paddlers with carbon fibre paddles (black) tend to dump them in the water to cool off before they pick them up after they have been lying in the sun. It works, but I don’t recommend it with cameras.